As the strapping, blonde-haired golden boy, Fred Jones is the self-proclaimed, but unchallenged leader of Mystery, Incorporated. With a talent for constructing Rube Goldberg-inspired traps and remarkable patience when Shaggy and Scooby inevitably destroy his efforts, Fred is a great, if somewhat dull, character with his own valuable store of lessons to offer his young viewers. You Have to Work With What’s Available – When Fred is faced with the necessity to create one of his traps, he is almost always forced to work with the things he has at his disposal; most of these items would seem useless to anyone else. Fred’s ability to look beyond the obvious sets a great example for kids. Archetypes Exist in Real Life, Too – Children will learn that, much like Fred’s “Fearless Leader” role, archetypal personalities also exist in the real world. While these characters work rather well on television, they almost invariably seem one-dimensional in real life. Your Interests Are Important – Fred’s interests, trap building and physical activity, are both things that serve him well as the leader of Mystery, Incorporated. Learning that a variety of interests creates a more well-rounded person is a lesson that children should pick up early; watching Fred and his cohorts pursue their disparate hobbies helps to impress it upon them. Embrace Change – In an early-2000’s reboot of the Scooby-Doo franchise, What’s New, Scooby-Doo? Fred’s classic ensemble was reworked and his trademarked ascot done away with. Promotional spots poked a bit of tongue-in-cheek fun at the predicament, showing a gang confused by a found ascot while an unsettled Fred looks on. For kids, the message that embracing change is essential, is a vital one. It’s Okay to Take a Backseat – One of the reasons why Fred’s character is a bit less defined than those of Scooby, Shaggy and Velma is that the writers understand his limitations as an engaging character. His frequent trips off-screen are designed to give the stars of the show a bit more screen time; this is another valuable lesson in attention sharing for some children. Good Looks Only Take You So Far – Though Fred is certainly the Good Looking Boy Next Door, he’s got slightly more substance than that. His ability to manage the group and defend everyone serves as a great example to kids that, instead of relying on good looks alone, it’s important to have skills of some use. Physical Fitness Always Pays Off – Fred’s agility and physical prowess are a shining example of the concept that being in good physical shape is of the utmost importance. Even Smart Guys Can Miss Obvious Clues – Despite the fact that he is the leader of a mystery-solving club, Fred consistently misses the glaring clues dropped by Daphne regarding her romantic interest in him. For children watching this scenario unfold, it becomes a lesson in the importance of being observant. With Great Power Comes Great Responsibility – Fred is the one who utters the often-fateful words, “Let’s split up, gang…” leaving Shaggy, Scooby and sometimes Velma to their own devices. As the leader, their near misses could also conceivably be blamed to some extent on him. The Best-Laid Plans Can Go Awry – Despite his painstaking efforts to build the perfect trap, Fred never gets to capture the villain with them. Instead, Shaggy and Scooby usually end up in his clutches, teaching kids that even the most carefully-plotted schemes can fall apart. 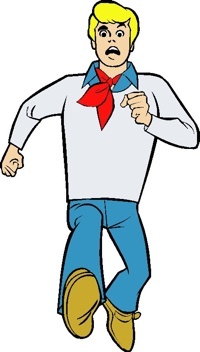 Although Fred is the leader of the gang, that doesn’t make him the star of the show, just one more lesson that can be gained from this character as kids enjoy their time with Scooby Doo and the gang.